It often seems that psychiatry today, as an institution, is like a miner in the mid-1800s desperately sifting for gold. The “biological psychiatry” revolution has clearly failed, and with increasing evidence that psychiatric drugs do more harm than good over the long term, the field often seems focused on sifting through the mounds of research data it has collected, eager to at last sit up and cry, here’s a shiny speck of gold! Our drugs do work! We saw that recently with the Cipriani study published in the Lancet, which led to headlines in British newspapers proclaiming the wonders of antidepressants. While even a quick look at the study revealed that it provided nothing new, and that the “evidence base” for assessing the risks and benefits of antidepressants hadn’t changed, the soundbite headlines were the “holler” heard round the world. Lancet Psychiatry is back this month with another such holler, which is now making its way around psychiatric circles. The study tells of how discontinuing antipsychotic medication following recovery from an initial episode of psychosis increases the risk of “poor long-term clinical outcome.” That is a conclusion certain to provide comfort to prescribers today, as it will be seen as evidence that there is no need to change their current practices, which emphasize continual drug maintenance. However, there is a newly published study in the Journal of the Norwegian Medical Association that tells of an opposite result. The Norwegian researchers report that a treatment they call “basal exposure therapy” has helped chronic patients taper from their medications (either down to a lower dose or off psychiatric drugs altogether), and that the best long-term outcomes are seen in those who got completely off the drugs. Unfortunately, I am pretty sure this one won’t soon be circulating in psychiatric circles. On the surface, it might seem that these two studies have focused on the same question: how does an effort to discontinue from antipsychotics and other psychiatric drugs affect long-term outcomes? But, in fact, the studies had two very different purposes. 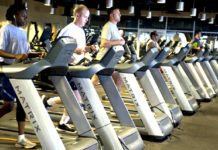 The first study was designed to test whether maintenance drug therapy was good for patients, with that proof, in large part, dependent on patients withdrawn from their medications faring poorly. The second study was designed to assess whether discontinuation could be done successfully and provide a long-term benefit. It’s a tale of two studies, and a quick review of both helps frame an important ethical question for psychiatry: which of the two studies should guide their thinking? The one that is dependent on drug-withdrawn patients doing poorly, or the one designed to help drug-withdrawn patients succeed? It takes a bit of detective work to fully understand the Lancet Psychiatry study, as you have to dig up an earlier published article to make sense of it. Only then can you understand how the initial discontinuation trial was conducted, and how that “discontinuation” exposure might have translated into a risk for a worse outcome at 10 years, which is the conclusion drawn in the Lancet Psychiatry article. The earlier discontinuation study was conducted in a very select group of patients. The researchers identified 178 patients—out of a pool of 1,606 first-episode patients—who had been particularly good responders to antipsychotics for up to two years after their initial episode of psychosis. To be eligible for this study, the patients had to be symptom free, have suffered no relapses since their initial episode, and have been taking medication continually for at least one year. Only 11% of the 1606 patients met these criteria. The 178 good-responders were randomized to treatment with quetiapine or to placebo. Astra Zeneca, the manufacturer of quetiapine, partially funded the study. A cross-taper protocol was used to transition patients from the antipsychotic they had been on to their randomized treatment (quetiapine or placebo), with this cross-taper lasting four to six weeks. As such, it seems that the patients in the placebo group were gradually withdrawn from their antipsychotic over this period. Relapse was defined as the “reappearance” of psychotic symptoms, even if such symptoms were not severe enough to require hospitalization. This “lower threshold for defining relapse” would then lead to quick resumption of antipsychotic use in the placebo group. It also led to the classification of patients in the placebo group who experienced any noticeable return of psychotic symptoms as treatment failures. It is easy to see the result that could be expected from this design. By enrolling only “best responders” to medication, all of whom had been symptom free while on an antipsychotic medication for at least a year, the investigators could expect that there would be a low rate of relapse in those randomized to quetiapine. Meanwhile, the drug-discontinuation group could be expected to do poorly. It is well known that there is a high risk of relapse for patients following withdrawal of an antipsychotic, and that is particularly true when the withdrawal is done through a one-size-fits-all protocol, as opposed to a patient-centered tapering process. This is a study design setting up the “discontinued” patients to fail, and by setting a low-threshold for defining relapse, the investigators could expect to give that failure rate an additional statistical boost. The announced results fit the expectation. Nearly half of the placebo group relapsed during the first four months following randomization, and by the end of one year, 63% of the placebo patients had relapsed versus 30% of the quetiapine patients. The one surprise was that, overall, the quetiapine group didn’t fare so well either. In addition to the 30% that relapsed, another 31% discontinued due to adverse events (which was greater than the discontinuation rate in the placebo group), such that only a minority in the quetiapine group—39%—had stayed well during the year. Given that this was conducted in a cohort of very good responders to antipsychotics, this trial could be said to have harmed both groups: a majority of patients in both cohorts either relapsed or dropped out due to adverse effects. Still, the relapse rate was higher in the placebo group, and psychiatry now had one more study supporting its current prescribing practices. “These findings are decisive in supporting maintenance treatment, even after one year of maintenance and in patients with no positive symptoms of psychosis,” the investigators wrote. That is the “holler” now circulating in psychiatry circles. Antipsychotic maintenance therapy works! But the devil of course is in the details. The first detail is this: there was little difference in medication use in the two groups during the seven years following the randomization trial. If anything, drug use was higher in the “discontinuation” cohort. Nearly two-thirds of the discontinuation group in that earlier study relapsed and had been put back on an antipsychotic, which meant that most patients from both cohorts had exited that earlier study on antipsychotics. The next seven years represented the “naturalistic” phase of the study and at the end of that time, 83% from the drug-discontinuation cohort were on antipsychotics, versus 76% of the drug-maintained cohort. In other words, this isn’t a 10-year study related to the long-term use of antipsychotic medications. It is a study of whether the randomization assignment in that earlier study produced a difference in clinical outcomes seven years later. The second detail is this: the researchers, for some unknown reason, switched their method for measuring outcomes. The original protocol for the 10-year study called for researchers to assess “recovery” rates for the two cohorts, which would have included assessment of their functional outcomes. 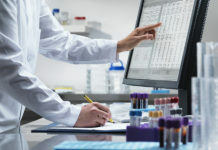 But the investigators abandoned that measurement, and instead switched the primary outcome to the same “positive symptoms” measurement used in the initial relapse study. Patients at the ten-year mark experiencing even a lower level of psychotic symptoms would now be categorized as having a “poor outcome,” even though they might have been functioning okay. The third detail involves the investigators choosing to include outcomes for patients who didn’t actually participate in the follow-up. The investigators were able to interview 142 of the original 178 in the study. Another eight had died, and the final 28 either refused to be interviewed or couldn’t be located. Yet, the investigators, rather than report the outcomes only for the 142 patients they were able to interview, added in the “predicted” outcomes for the 28 patients who couldn’t be found or refused to be interviewed, based on how they fared in the initial relapse study, and then categorized all 178 patients as either having a poor or good outcome. It’s unclear how the addition of the 28 “predicted” outcomes affected the comparison between the two cohorts, but it certainly makes for an odd element when reporting long-term clinical outcomes. So what conclusion can be fairly drawn from this long-term follow-up of the patients that had been the subjects in an earlier discontinuation trial? Here is my take: Putting first-episode psychotic patients who have had a good response to medication, lasting at least one year, into a study that switches them, according to a study-imposed timeline to another antipsychotic or to “placebo,” is a bad idea. The study exposes both groups to an increased risk of relapse (both the switching and drug withdrawal can be problematic), and this risk is particularly pronounced for the antipsychotic-withdrawn group. Moreover, it is possible that this relapse led to an increased risk of a “poor outcome” seven years later, because it does mean first-episode patients have now experienced a “recurrence” of symptoms (and perhaps this exposes them to subsequent greater medication use). As such, this study tells of possible long-term harm done to patients by their participation in a study designed to produce a favorable result for the drugs, and nothing about the possibility that first episode patients can be successfully tapered from an antipsychotic. The study can’t provide any insight into that latter question, because there was no effort to support people in that process, or to manage the withdrawal symptoms that could be expected to appear. One more point: if the researchers had wanted to provide some insight into the effects of long-term antipsychotic usage, they could have compared the outcomes for the 28 patients off medication at the end of 10 years to the 114 reported to be on medication. I am willing to bet that the outcomes for the unmedicated patients were better. That is the result seen in all other naturalistic long-term studies that have compared outcomes in this way. But that would have led to a different message, and not one that would lead to the study being circulated in psychiatric circles. The study published in the Norwegian journal was a report on the outcomes for patients treated with basal exposure therapy, which a Norwegian health provider—Vestre Viken Hospital Trust—has been developing and refining for the past 20 years as a treatment for chronic hospitalized patients. The patients admitted into the program typically have low functioning scores, numerous hospital admissions, and long-term use of psychiatric drugs (including polypharmacy). Most are described as “treatment resistant” when they enter the program. Thus, serious mental disorders are treated as “phobic conditions, irrespective of formal diagnoses,” and the purpose of basal exposure therapy is to expose them to the very conditions that stir their anxiety (much as other phobic conditions are treated through exposure therapy.) Although this exposure may initially trigger increased anxiety, repeated exposures will reveal to the patients that they can survive such experiences without disintegrating and that the existential threat to their being “is not real.” This becomes the path to recovery. Psychiatric drugs, Hammer and colleagues write, can hinder this recovery process. The drugs are designed to suppress unwanted internal experiences, and yet it is precisely that internal experience that is needed to help patients get past their fears of existential catastrophes. As such, an important aspect of basal exposure therapy is promoting drug tapering to patients. The drug withdrawal effort begins with a dialogue focused on the “patient’s own values,” as this promotes their “ownership of the process.” Usually, this leads to the initiation of an effort to gradually reduce the patient’s psychiatric medications, with a tapering plan prepared jointly by doctor and patient. Since many patients are on multiple drugs, the drugs are gradually withdrawn one drug at a time, which is one reason the inpatient treatment may last a fairly long time (six months or more). The patient’s progress through this drug-withdrawal regimen is closely monitored, with an interdisciplinary team—psychiatrists, psychologists, and psychiatric nurses—meeting weekly to review how it is proceeding. In their article, Hammer and colleagues report on the long-term outcomes of the first 36 patients treated with basal exposure therapy and then discharged from the hospital. They were able to interview or find up-to-date electronic records for 33 of the 36, with these patients having been discharged, on average, five years earlier. At the time of their enrollment into the basal exposure program, 14 of the 33 had a primary diagnosis in the schizophrenia spectrum; 6 had an affective disorder; 6 had a neurotic disorder; 5 had an emotionally unstable personality disorder; and 2 had other diagnoses. Eighteen of the 33 had multiple diagnoses. All but one were women, and they had quite poor global functioning scores. The 33 had been discharged from the hospital at least two years earlier, and at followup, 16 of the 33 were off all psychiatric drugs. The 16 who were drug-free had markedly better outcomes than the 17 still taking psychiatric medications: they had much higher “global assessment of functioning” scores, much lower rehospitalization rates since discharge from the basal exposure program, and much higher “full-time” employment rates (56% to 6%). Seven of the 16 in the drug-free group had “fully recovered,” while none of the 17 still using psychiatric drugs achieved this best outcome. The researchers also found that the patients who had the most exposure to “existential catastrophe anxiety” during their treatment had better social functioning over the long term. Although both of these studies might be put into the “withdrawal research” category, they clearly are very different in kind. As I wrote earlier, the first was designed to prove that quetiapine prevents relapse, and exposed the drug-discontinuation group to a one-size-fits-all protocol that had been shown, in previous research, to reliably produce a high relapse rate. The second recorded the results from a therapy designed to help chronic patients get better, with successful drug tapering considered a key aspect of that treatment. Now which one deserves to promote further thinking about the possible merits of psychiatric drug withdrawal efforts? The first, or the second? So here’s my plea to MIA readers. If you believe this second study deserves to be known, and that the results should become a topic of discussion in international psychiatric circles, please try to publicize it through social media, internet forums and so forth. A program that enables 50% of chronic patients to get off psychiatric drugs, which in turn leads to marked long-term improvement, needs to become part of the “evidence base” that—at least in theory—is supposed to guide psychiatric care. It is quite sad that the psychiatric industry even does studies with the goal of trying to prove the need for long term use of their neurotoxins. And actually favors those studies over studies meant to help cure people. Absolutely, the psychiatric industry’s priorities are out of whack. Thank you for continuing to point this out, Robert. It’s a shame for the public to have to continue to fund psychiatric research, looking for a hoped for “genetic” etiology of “schizophrenia.” When in reality the “cure” is already medically known – to all but seemingly the psychiatrists – to create both the negative and positive symptoms of “schizophrenia.” Which means the most common etiology of “schizophrenia” would be of an iatrogenic, not a “genetic,” nature. Maybe it’s good that anticholinergic toxidrome made some of us “hyperactive” about finding the real etiology behind how psychiatrists made us sick. But I hope the psychiatrists some day stop making millions of people sick, since that’s the opposite of what doctors are supposed to be doing. Important to hear about. Thanks for the article. You withdraw people from antipsychotics and make sure they were good responders to begin with, so that they would have withdrawal problems, and then as soon as you have gotten them back on antipsychotics because of the withdrawal problems, you still include them with the group that supposedly wasn’t on them. And what Robert so articulately points out at the end, and I actually missed, was that they never really compared those truly off medications with those on them in the long term. And 11% isn’t representative. That only 11 percent were good responder speaks for itself, also. The discontinuation for those on the new drug was actually greater than those getting off of one, also. Who is doing all of this diagnosing. If someone simply needs another who helps him to understand an emotional response, those that have such ability (to help) aren’t going to just label this as a “positive symptom,” but will see that there’s underlying emotional, cognitive even maybe even health issues that could be addressed. There’s already a big difference here with those that just see it as a chemical imbalance, and thus promote this whole logic that what correlates with the spike in mental illness is going to solve it. Or those that negate that their treatment might be causing the problem in order to make out that the greater occurrence of the problem means more treatment is needed. That’s quite non reality based. That only 11% of everyone in the system could be seen as a good responder to treatment should already be a warning signal. It’s interesting that I sort of have gone through the basal exposure therapy, because of drug withdrawal, but it wasn’t psychiatric, it was coffee withdrawal. And I have a good therapist that gave me the space to express what I needed to express so that I felt free to have emotions and responses rather than to be alarmed by them. It doesn’t even have to be coffee, it simply was that when you are put in an environment where you can express emotions you haven’t expressed before, that instead of repressing those feelings, those memories, those responses, you are going to allow yourself to open that door, and find you can deal with them, even thought the environment you were in before tried to make you think that there was something wrong. it seems that extreme misrepresentation of scientific data is not seen as non reality based, but positive symptoms that don’t even really effect someone’s functionality, this is then deemed non reality based. Lying is OK, apparently. Or zealous game playing as if it’s about marketing. Are they scared that if others learned to heal their emotional wounds that this might uncover that they have their own, and that what they have been tauting wasn’t based on sane cognition? Because really I think that that fear is there, and that in dealing with your own emotional trauma you have to see that those labeling it as something else are scared to even see what’s going on. It’s like Jesus said, forgive them they don’t know what they’re doing. And you have to let go of expecting a reasonable response. I really think that thought is thought, it comes from the source, what was there before the whole Universe came out of what science calls the big bang. Not judging those people, as brain washed as they are, but letting go of anger not not only might help you to know how to respond, but they might feel that, whether it’s expressed physically or not according to accepted rules of science that we are separate from each other, something which science actually has proved not to be the case in quantum Physics. This is a good article, and of course Mr. Whitaker is doing great work still. Thank you. As the list of studies and statistics grows ever longer, we might want to pause for a moment to consider that these are human beings we are talking about. Somewhere in those statistics, numbers, and studies, our suffering brothers and sisters cry out, whose brains are damaged by neurotoxins, and whose lives are ruined by psychiatry. It is sickening. Add to these tragedies the untold numbers of deaths that have been caused directly or indirectly by psychiatry. Psychiatry is evil, and it must be abolished. God’s justice cannot sleep forever. Slay the Dragon of Psychiatry. I agree. I see it every day that I go to work and even though I speak out against the drugs they just keep on drugging people to the gills on the units. Nothing ever changes. I’ve talked privately with some of the psychiatrists and of those some will admit that they know what the drugs do and are not doing and yet they refuse to stop using them. Most don’t even want to discuss anything about the drugs and some accuse me of trying to destroy the system when I ask such questions. When an emotional wound expresses itself, simply for what it is, that trauma doesn’t work as a disciplinarian method, but that it’s trauma, when this expresses itself it’s seen as a disease. But when someone actively engages in deceit and the kind of conn job that goes with maintaining the ideology that it’s something else…. This isn’t seen as non reality based? To bury a wound with the rewards of game theory you get in such a conn job is considered functional. Everything is thrown to the wind then, when you consider that someone receiving a paycheck from the whole system whose economy is maintained by such, someone it is assumed who then maintains such ideology, that they are then considered functional, also because they have a paycheck. I wonder how much more of what’s considered functional (productive?) because it’s rewarded with a paycheck would then be considered as a sign of recovery. To WHAT EXTENT in this amazing logic would it say more about sanity would it be that someone not taking part (or not even being able to take part but instead lives in a fantasy world), that they being homeless, or delusional, that they are sane, consequently? The whole spirit world seems to be mostly invisible, and every society fas fiction, myths, stories and even a history that’s not physically so tangible anymore. All this seems to be necessary, as well as art which you can’t explain, as little as you can scientifically dole out how to create emotions that mirror human experience with musical chords. Who is to say that consequently someone that exists in a non-reality-based mode is more sane. Thanks very much for uncovering Basal Exposure Therapy. From what I understand of it, it makes total sense and I think it needs to done well, grading the exposures, allowing sufficient time, and being aware of safety behaviours without being dogmatic about it. Another factor, choice with the success VS failure statistics . In politics you have an electoral map for each government representative. Depending on how you cut the map up, you can get vastly different results. In this study of first-episode psychiatry patients, the start of the population was “out of a pool of 1,606 first-episode patients” , then they kept cutting the successful outcomes down to support their point of view. Then called the manipulation science. In genuine medicine, if the patient has cancer , the doctor has the real statistics on survivor rates. The doctor gives the patient the choice of going for a treatment for say a 50/50 odds of success. But in psychiatry the “patient” is usually not given the choice in what ever the supposed ” science” they have to back up the efficacy of the drugs. Thanks for bringing our attention to these studies. The authors of the Norwegian study seem to get it. When they talk about patient ownership it sounds like more than lip-service. Their article was refreshing to read. I like how they went right for the source of people’s distress, in this situation it was the ‘existential catastrophe anxiety’, and the authors generally bypassed the participants’ varied diagnoses. The study outcomes are something I can relate to as well. I don’t know why mainstream studies continue to report the narrow outcomes. Maybe it’s that the pharma profits are so compelling, maybe the psychiatrists are in a hurry to publish something that their peers will approve of, maybe the power imbalance blinds psychiatrists to what really matters in people’s lives, or perhaps it’s just a habit that has been perpetuated????? It’s still confusing to me, but I know people who are being harmed by the narrow short term focus of current treatments, and like someone just mentioned, people are more than statistics. There are real people with real losses due to this issue. Thanks for writing about it. Thank you for the community service of challenging the harmful pseudoscience of psychiatric drug therapy. First of all, Quetiapine really is not a very good direct anti-psychotic, its a sedating blunting agent with some debatable antipsychotic properties, and therefore probably doesn’t screw you over as much as the more powerful drugs. Its effect size SMD for psychosis has been estimated as .44 (Cipriani), 0.38-0.47 (Leucht), 0.33 (Moncrieff). Its well below Risperidone and Olanzapine, which for all their flaws have effect sizes 0.6+, still not very good if you look at what that might mean, but a lot better. The study authors say that Quetiapine is as effective as other anti-psychotics, but the studies they cite have discontinuation as the primary measure, so its not that Quetiapine is effective, its just that it is tolerated. Anyway, really they should all have done not very well during the 1 year of Quetiapine, even if you believe in anti-psychotics. They say, by the way, that they used 400mg of Quetiapine because it is the most effective dose. The Berger/McGorry paper they cite for this says something rather different: that 200mg is much better because 400mg is worse for blunting and functioning. To then look back after 7 years and try and say what the effect that 1 year Quetiapine period had, once they are probably back on whatever drug they on before, seems rather odd. That’s all dead and buried isn’t it? I wonder if they are trying to create an argument to say, never dare come off your antipsychotics, even briefly, because you will never be the same again? Arguing about the best drug is like asking which type of chain work best to control the prisoner? Plastic, Aluminum, copper , steel? You are right in saying Quietiapine is a sedating drug. Stopping Quietiapine can result in serious sleep disruption, and it’s difficult for anyone to remain well without consistent sleep. I liked reading that article like all the other articles you have written. They go so well in line what I have seen as patient inside hospitals and outside them. Just reading them and especially about Soteria and that Norwegian way of treatment, makes me hopeful that some day things change and getting treatment really means that the way getting back up is starting. Current situation is awful when everyone working in health care just sees that those ones stopping medication alone make stupid things and go back to hospitals. I for example know that I can’t do it. I think the first place where people go searching about mental health problems and treatment is Wikipedia and English Wikipedia has nothing about troubles in science behind medication. Currently it is almost like a drug ad they give us patients when we ask some information about our sicknesses. So it would be really helpful if someone good with words and enough experience would edit antipsychotics and psychosis and schizophrenia wiki-sites about those researches. I believe that many reading Wikipedia now miss that kind of knowledge that goes with what they can see with their own eyes. I think you’ve made an important point here. When a “patient” on a unit asks for written information about the drug, or drugs, that they’re on the “treatment team” gives them something from a website that is totally pro-drugging and gives the “you’ll always be ill and must always take our drugs for life” mantra. Usually it’s from Wikipedia, and the information just spouts the party line. I suspect that the “treatment team” doesn’t even know about sites like Mad in America nor about these kinds of studies. Actually, I don’t think that they really want to know or they just believe that their take on things is the only take on things. Most don’t even realize that there’s another side of the story. I was sitting in on morning report on a unit one day when everyone was carrying on about how some people didn’t believe in taking the drugs. They were irate and upset because many people didn’t freely down the pills given to them. I finally stopped them and stated that not everyone believes in that paradigm of “care”. They all turned and looked at me as if I had a horn growing out of my forehead and finally the psychiatrist quietly backed me up. They just sat there as if they’d heard a heresy uttered in their presence. Many psychiatry supporters manage to ignore all types of rational critiques presented to them, whether voiced by impartial researchers or clear-eyed victims of their care. Their refusal to acknowledge the damage being inflicted on society by psych drugs has more to do with self-preservation and absolute greed than the lack of calm, neutral professionals gently telling them the truth. Honest, caring people would pay attention, regardless of the messenger. Wikipedia can become a game of who can rally enough editors to sway the tone of a given page. The better option would be to support re-instating Net Neutrality, so websites like Mad In America have a fighting chance to be seen by the public, regardless of their internet provider and service package. Sites like Mad In America are great, but they have far less readers than Wikipedia like Gilbert pointed! Net neutrality won’t help to get masses talk about something. When someone searches something there is always some site that is the first and I believe in the eyes of outsider Wikipedia is more trustworthy. Changing articles there doesn’t mean only promoting something and starting a rally war but adding information and negotiating with others with completely different viewpoint to find words that everyone can agreed. And if Wikipedia would contain about those researches analysed here the more people would Google them and find this site. So it really is like making a small snowball first that after some time would start rolling by itself. I just inspected Wikipedia antipsychotics article thinking if I add something there but I still think its too much for me. Well and that what you Gilbert wrote was fun to read. It must be hard to try talking when everyone else has so strong opinions that they are correct that they won’t even like to listen. People tend to see everything they have been doing their life so normal that they have hard time even imaging something different. Then they usually use words like “can’t” or “must” in passive to describe how things are currently. I don’t think it is about that they are stupid or greedy. Everyone just loves living comfortably and even talking about something new is hard before new thing becomes something familiar. Poorly designed psychiatric research studies touting the efficacy of psych drugs pass muster in the eyes of supporters because of the pervasive influence the Pharmaceutical Industry. The average doctor depends on drug representatives from these companies to make decisions on which brand of psych drugs to use on their patients. This has nothing to do with objective science guiding their thinking. Self-preservation and greed clouds the judgement of those who refuse to listen psych survivors and impartial researchers. Wikipedia is one of many sites available to build awareness of a given topic. It should not become the primary point to share information for any viable movement. Living comfortably should not come at the expense of the lives of vulnerable people. Well I think you’re right that there is that strong connection with doctors and pharmaceutical industry like Whitaker has written many times. Still those doctors are human beings like are the people deciding their budget. Currently there is a very of few those studies that say “Hi that way of treating people has poor outcomes and wastes money” so it must be really hard for an average doctor to make tough decisions going out of line and trying something against the treatment standards. That way they might lose their jobs. Yeah Wikipedia as main channel of information is never enough, but it is still common starting point for those searching information, because otherwise the other channels would be hard to find. It is hard to stumble Mad In America by accident if someone isn’t already critically minded and searching with that kind of keywords. I can identify with your frustration, I have personal experience of my own Recovery being denied – through Professional Game Playing. If people can recover from Severe and Enduring Mental Illness as a result of stopping Drug treatment, then the “Severe and Enduring Mental Illness” can’t have existed to begin with. I’m not sure that I would have recovered with this Approach. I suffered from “High Anxiety” Withdrawal Syndrome when I tapered from strong drugs and I was genuinely at risk of imploding. BUT, I did recover from a “Variation” of this, which could also be described as Rational Emotional Behavioural Therapy. I knew I was suffering from “Catastrophy”, and I had to find ways of working around this to survive. My solution was a bit like Eckhart Tolles “epiphany”. I had to completely abandon my thinking when I was distressed because my thinking was reinforcing my Anxiety. But, once my anxiety eventually died down there was no real problem. I didn’t reach Enlightenment like Eckhart Tolle, but I learned how to overcome my High Anxiety. With enough “Variations” of the non drug approachs we all ready know to work, everybody should be able to make complete Recovery. 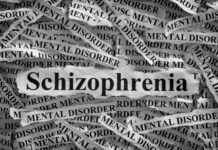 The Norwegian Study refers to the use of fairly sensible Psychotherapy to Recover people “even” from “Incurable Schizophrenia”. In my opinion “High Anxiety” or “Neuroleptic Withdrawal Syndrome” is what locks a large proportion of “diagnosed people” into Long Term Psychiatric Dependency. I notice in the Lancet study that there are a high number of suicides, but I don’t see any reference to suicide in the Norwegian Study. The Norwegian Study is also geared up towards getting people permanently well. Antipsychotic drugs versus cognitive behavioural therapy versus a combination of both in people with psychosis: a randomised controlled pilot and feasibility study. Little evidence is available for head-to-head comparisons of psychosocial interventions and pharmacological interventions in psychosis. We aimed to establish whether a randomised controlled trial of cognitive behavioural therapy (CBT) versus antipsychotic drugs versus a combination of both would be feasible in people with psychosis. This is a really interesting article. The idea of creating the conditions for success makes enormous sense. I studied Neuro Linguistic Programming in the business world before I began to hear voices. I applied it to myself to create good experiences and achieve good outcomes. I have adapted the basic techniques of NLP and mindfulness in a suite of six simple mind strategies to prevent the recurrence of psychosis and make the need for anti-psychotics unnecessary. A basic NLP technique is to interrupt an undesirable train of thought and replace it with another – used to create new ‘programs’ or healthier thinking habits. The interrupt pauses the frame of reference that a stimulus calls up, the replacement deliberately (mindfully) calls up a frame of reference representing a desirable outcome – essentially reframing the train of thought to achieve a different outcome. “Voices” tend to exaggerate our perception of problems in themes where they are very busy – our cognitive bias seems to be set by voice behavior, or rather, our emotional response to it… and we ‘see’ situations in a negative light because we project that emotion onto the real world situation. Sensitivities often develop around ‘busy’ themes. I mapped mine against my goals – then addressed them systematically in the interrupt/replace, effectively as a form of exposure therapy. I find it best to move toward voice threats to prove them wrong and reset my cognitive bias to the real world, rather than from the emotional response to voice aggression. 1) I play through the important events in my day in the shower in the morning. I figure out the success factors, minimize the downside potential to discount voice exaggerations of risk and consequences of things going wrong. 2) I have an emergency plan in case of a severe attack… just HAVING a plan is enough to make the idea inconsequential. At worst I may take two days of tranquilizers – I have had the need only once in 8 years or so. This isn’t ‘relapse’ – it is barely a blip in my story at worst. – in life, by shifting the frame to what we want to do to achieve desirable outcomes (the success factors). We can form healthy new habits in the mind surprisingly quickly – and we can also create the conditions for success in this endeavor.